Here is a video I made for Pete to remember his 41st anniversary in 2012 - "We Know Your Name, Pete..." The music is "Two-Ten Six Eighteen" by The Kingston Trio. This is a music video I made to remember Pete Duel. It's an upbeat video to celebrate his wonderful life, and the song is "Sweet, Sweet Smile" by the Carpenters since I love Pete's smile! Here is a music video I made to remember Pete "A Wise Man." The song is "Those Who Are Wise" by The Kingston Trio. 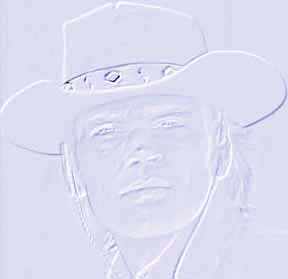 This is an upbeat Pete music video called "Pete Duel in A Heyes Fest!" It has "Baby It's You" by Petula Clark. 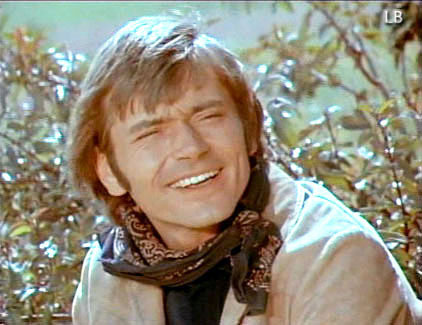 I was a big fan of Pete Duel from his portrayal as Hannibal Heyes on "Alias Smith and Jone," but he was a gifted and talented actor who was great at dramatic roles, as well as comedy! I made these pages to remember him. I've made collages and signs (more on my Pete Graphic Design Work page), videos (on my Videos page). I hope you have a nice visit here. I made this site to remember Pete Duel. Website design, graphics, videos, photos, and artwork are by and the property of Linda Bennett. Other graphics are the property of their credited owners. Images are not allowed to be displayed in any form on other web sites or on the web in general without permission from Linda Bennett. No copyright damage is intended.